One of many "Black Paths" around Workington. This one led (ultimately) from Harrington to Havelock Road. This section is from Derwent Crossings to the Burmah Road. 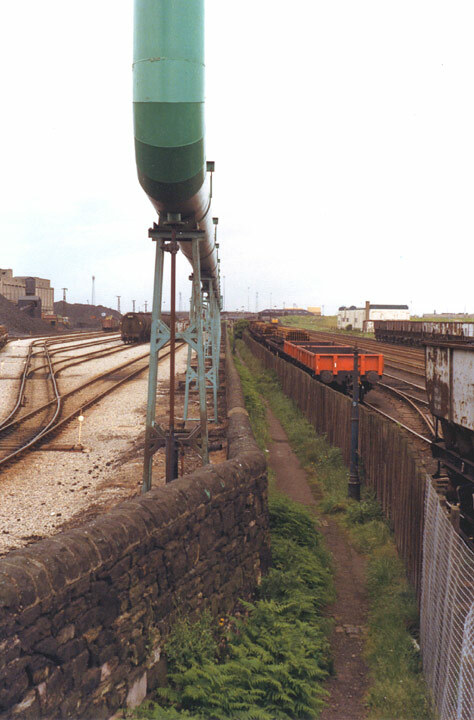 The large pipe took gas to the rolling mill, to heat the steel before it was rolled into rails. Note the gas-lamp to the right of the picture, obviously disused. The last gas-lamp that I remember operative was in Lorne Villas (between Carlton Road and Park-End road, parallel to Elizabeth St.), and for years it stood working, long after others were removed. Does anyone remember differently?